Where Do I Download the Mozilla Firefox Web Browser? The Mozilla Firefox browser is free and available on a variety of desktop and mobile platforms. These include all Windows versions since XP, the Mac OS, and GNU/Linux platforms, given that they have the required libraries. In addition, Firefox is available on iOS and Android devices. It is not available, however, on other mobile devices such as the Windows phone or Blackberry. The best place to download Firefox is directly from Mozilla's official ​download website. This helps you avoid adware, malware or unwanted applications commonly packaged by third-party website downloads. When you navigate to the Mozilla download site, it automatically detects your operating system, so you can just click Free Download, and it will automatically download the correct version. If you do want another version, click Download Firefox For Another Platform, and then choose from Windows 32-bit, Windows 64-bit, macOS, Linux 32-bit or Linux 64-bit. Once downloaded, install Firefox by double-clicking on the downloaded file, and following the prompts. Click the Help (?) icon, and select About Firefox to launch a popup dialog. If Firefox is up to date, you will see "Firefox is up to date" displayed under the version number. Otherwise, it will begin to download an update. Click Restart Firefox to Update when it displays. Android: For Android devices, download Firefox from Google Play. Just launch the Google Play app, and search for Firefox. Click Install. If it is already installed, Google Play displays "Installed." Once it completes installation, click Open to start using it. iOS: For iOS iPhones and iPads, open the App Store and search for Firefox. Click the Get button, and then Install. Enter your iTunes password at the prompt, then click OK. Once installed, click Open to begin using it. 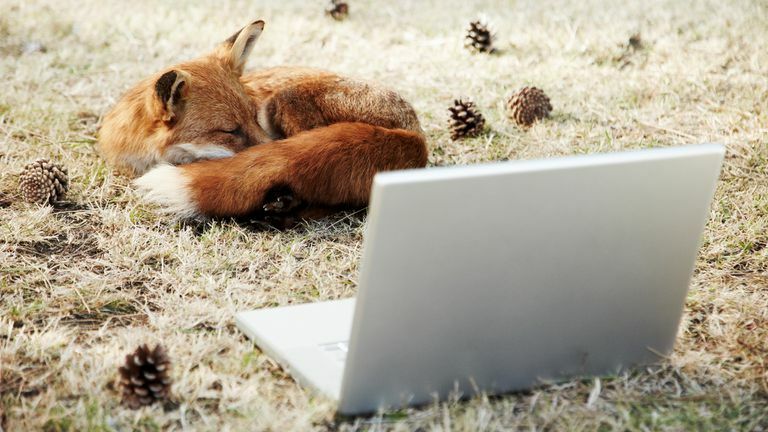 Firefox is highly customizable, allowing you to sync bookmarks and preferences across devices, browse in "silenced" tabs, and take advantage of loads of other useful features. In addition, it supports a large number of custom add-ons that extend its feature set. Note: To install add-ons, select the menu button and click the Add-ons icon resembling a puzzle piece. Click Extensions on the left sidebar and then enter your search term in the Search all add-ons box. Click the Install button to the right of an add-on to install it. Change the default search engine: The default search engine for Firefox is Yahoo. If you prefer another search engine, you can easily change it. Click the magnifying glass in the "Search" box at the top right of the browser and choose Change Search Settings. Under Default Search Engine, select the one you want. Sync your bookmarks and preferences: You can easily sync your data across devices using the Firefox Sync feature. Select the menu button and choose Sign in to Sync. Select Create Account if you don't already have one, and then follow the prompts to create a Firefox account. Once enabled, Firefox will sync across all devices in which you are signed in. Customize the toolbar buttons: If you have certain features you use all the time or features you never use but that are on the default toolbar, switch up your toolbar buttons. Select the menu button and choose Customize to launch a tab with drag-and-drop toolbar items. Drag the ones you want to the top toolbar. To remove an item, right-click it and select Remove from Toolbar.